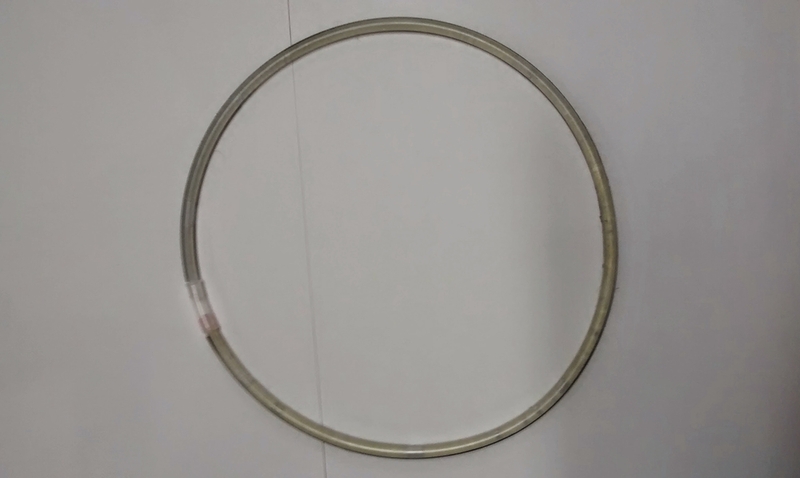 The general idea came from the hula-hoop toy as a cyclical activity. After some thought and happy accidents, it was clear that a scaled down version would be more suitable. As a rapid prototyping strategy, the use of glowing necklaces came in pretty handy. It not only scales up quite well to the assignment's brief, but it communicates clearly the data visualization of the activity's tentative feedback. 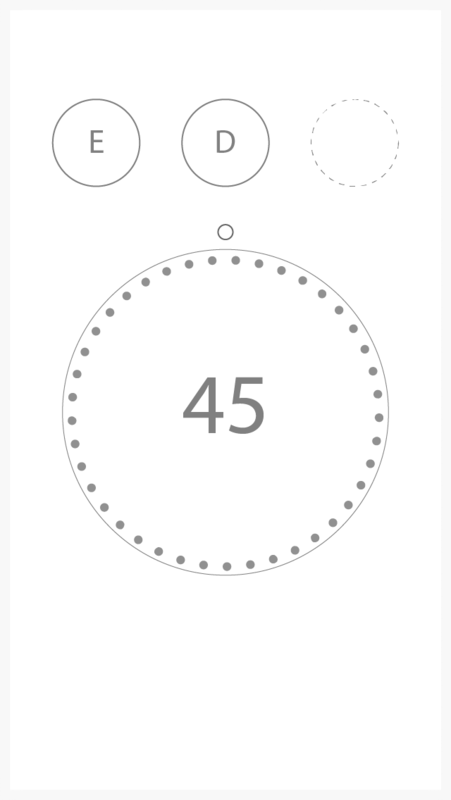 After some user tests, it was clear that people intuitively spin the ring in either way –clockwise and counterclockwise–, which means that the overall task of counting should be designed in line to this ambivalence. This is the reason behind the two sides (white and black) of the object. 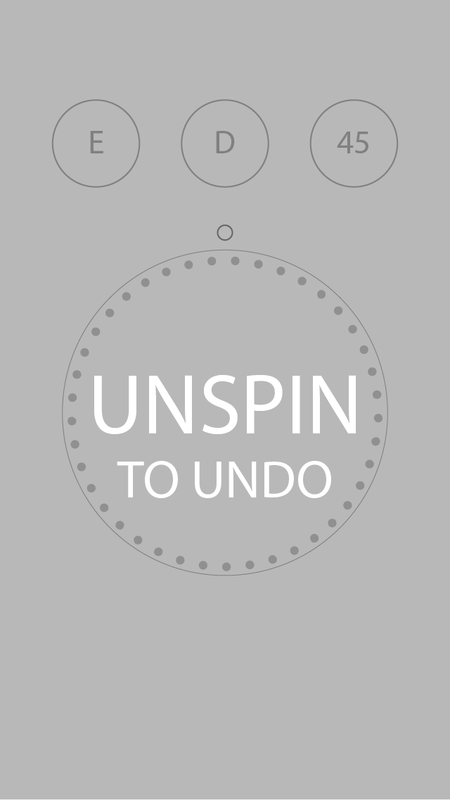 When spinning the object with the white side up, it counts and whenever the black is up it basically undo the counts. The general idea is to see the circle light up in relation the the goal's progression, being counting up or down. The way to set up the mode and quantity are through embedded knobs as shown in the third illustration. Having a prototyped experience makes the UX mobile sketching easier. Nevertheless, these diagrams make the overall panoramic view of the experience much clearer. Translating this physical experience into a digitally mobile one could go two ways. In the end, the chosen alternative will rely on user tests. 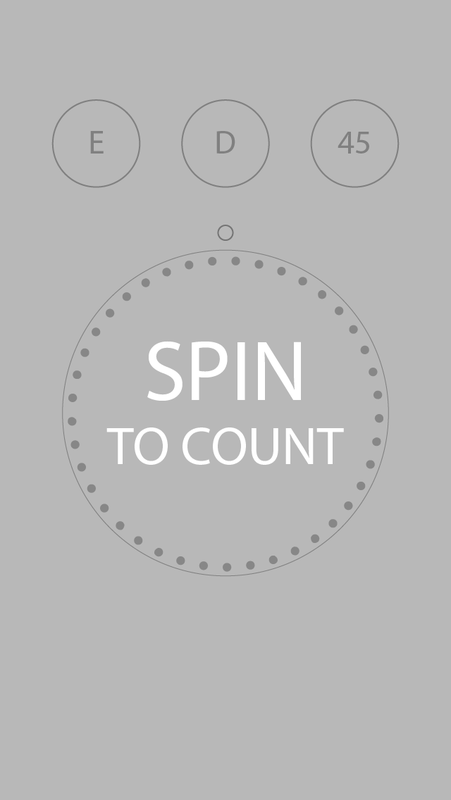 The initial idea is to spin the mobile device to count and spin it the other way to undo the count. However, spinning the physical device might not be intuitively enough in mobile applications. 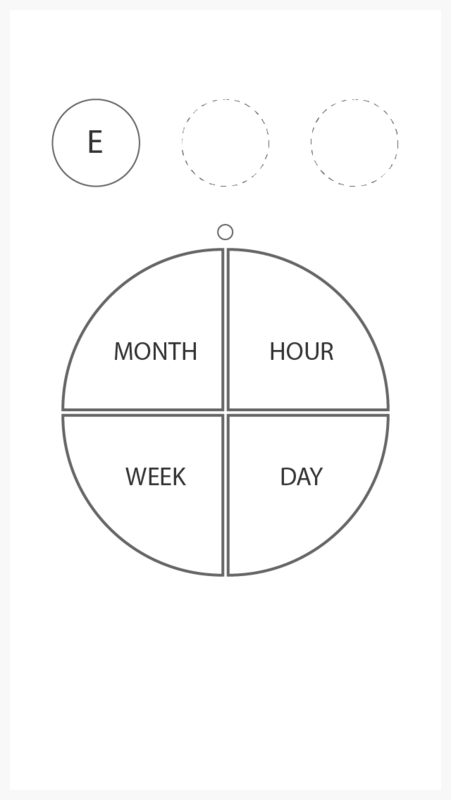 The other hypothetical alternative is through a circular swiping gesture, consistently upon the whole app's interaction.